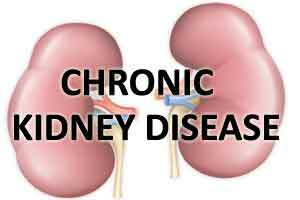 According to a randomized, open-label study by Dr.Ione de Brito-Ashurst and associates, Daily supplementation with sodium bicarbonate decelerates the progression rate of renal failure to end-stage renal disease (ESRD) and improves nutritional status among patients with chronic kidney disease (CKD).The study has been published online in the Journal of the American Society of Nephrology. Metabolic acidosis (MA), generally perceived by clinicians as a low plasma bicarbonate (HCO3−), is a common complication in patients with advanced chronic kidney disease (CKD), particularly when GFR falls below 30 ml/min.This, in turn, may bring about a variety of sequelae, such as stunted growth in children, loss of bone and muscle mass, negative nitrogen balance, and possible acceleration of progression of CKD. The researchers tried to explore whether Bicarbonate supplementation preserves renal function in experimental chronic kidney disease (CKD), but whether the same benefit occurs in humans is unknown. Here, we randomly assigned 134 adult patients with CKD (creatinine clearance [CrCl] 15 to 30 ml/min per 1.73 m2) and serum bicarbonate 16 to 20 mmol/L to either supplementation with oral sodium bicarbonate or standard care for 2 yr. The primary end points were rate of CrCl decline, the proportion of patients with rapid decline of CrCl (>3 ml/min per 1.73 m2/yr), and ESRD (CrCl <10 ml/min). Secondary end points were dietary protein intake, normalized protein nitrogen appearance, serum albumin, and mid-arm muscle circumference. Compared with the control group, decline in CrCl was slower with bicarbonate supplementation (5.93 versus 1.88 ml/min 1.73 m2; P < 0.0001). Patients supplemented with bicarbonate were significantly less likely to experience rapid progression (9 versus 45%; relative risk 0.15; 95% confidence interval 0.06 to 0.40; P < 0.0001). Similarly, fewer patients supplemented with bicarbonate developed ESRD (6.5 versus 33%; relative risk 0.13; 95% confidence interval 0.04 to 0.40; P < 0.001). Nutritional parameters improved significantly with bicarbonate supplementation, which was well tolerated. This study demonstrates that bicarbonate supplementation slows the rate of progression of renal failure to ESRD and improves nutritional status among patients with CKD.